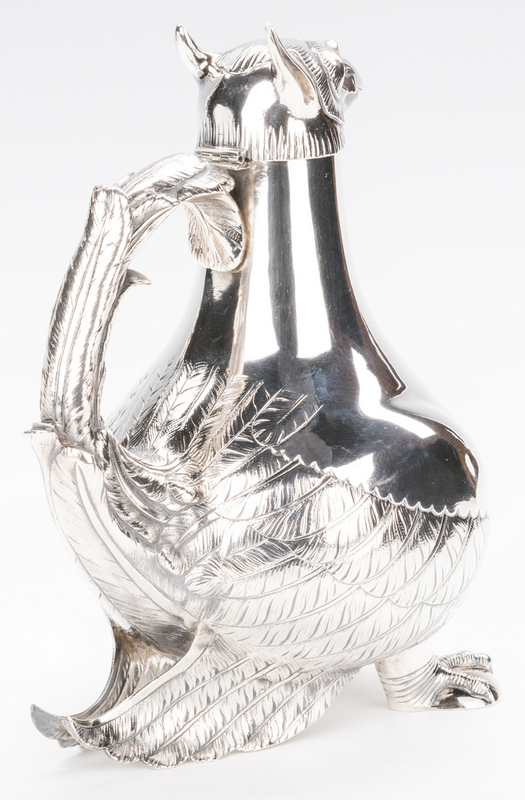 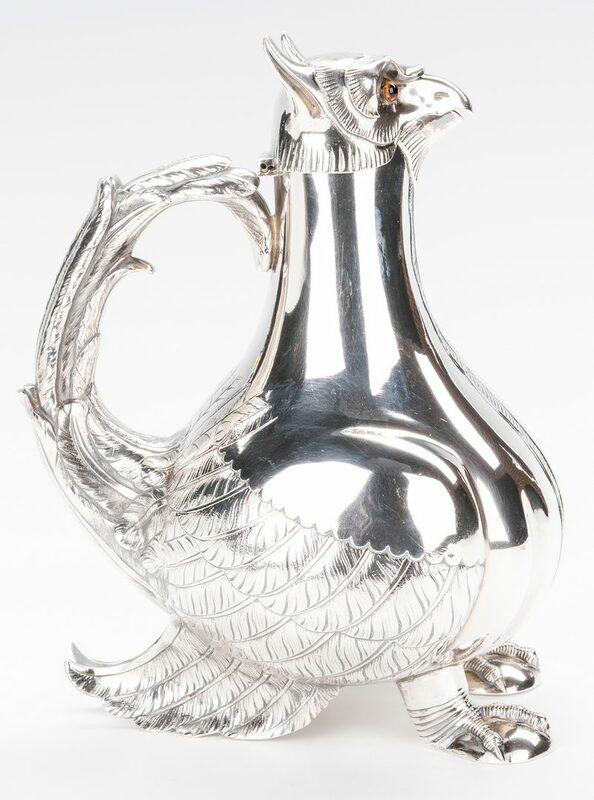 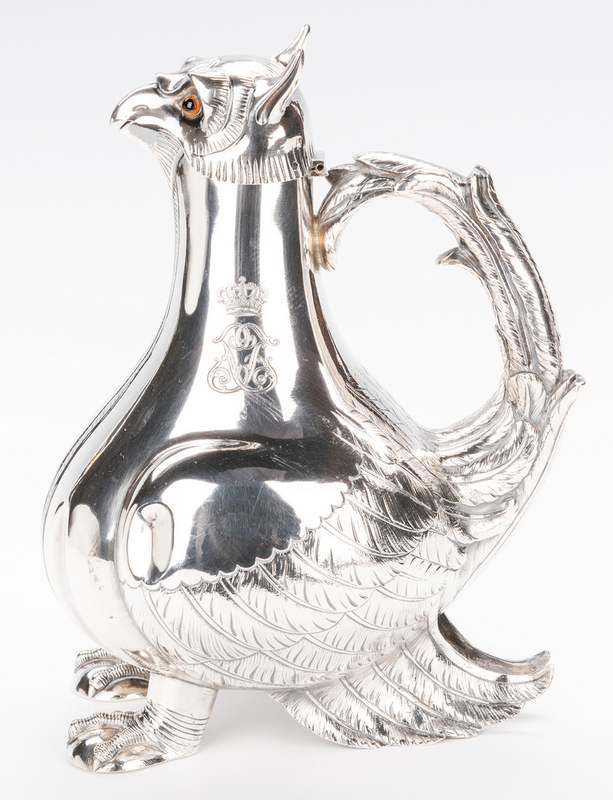 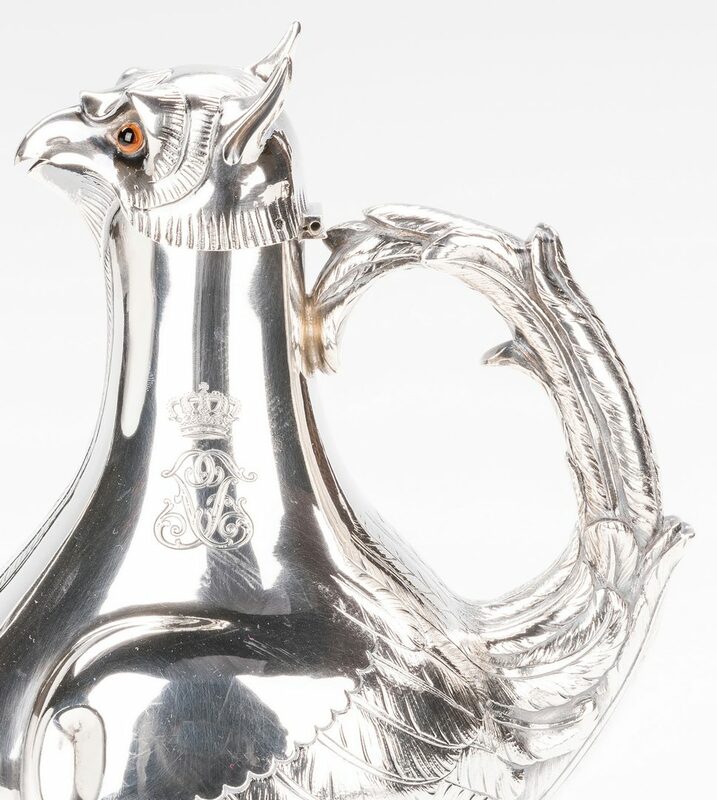 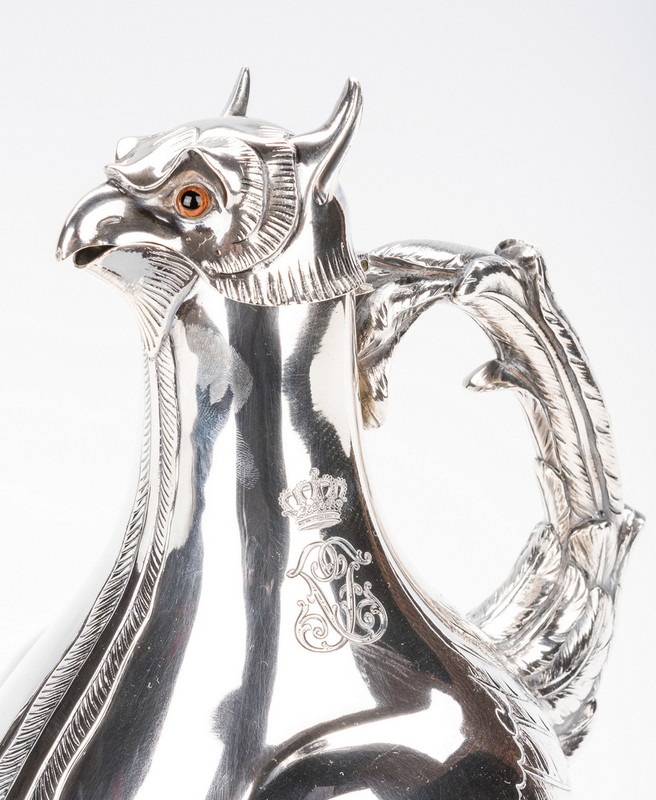 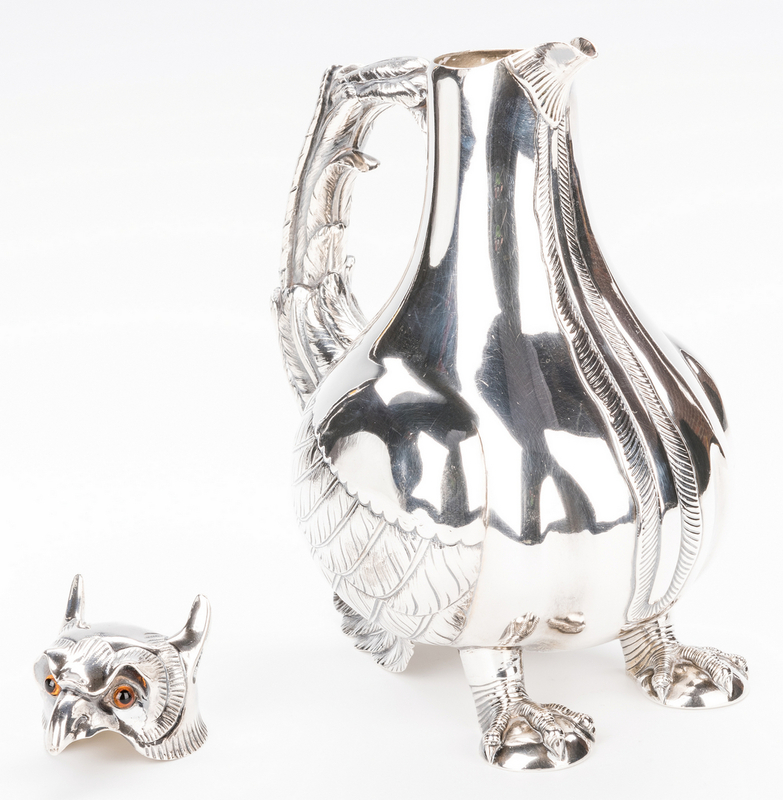 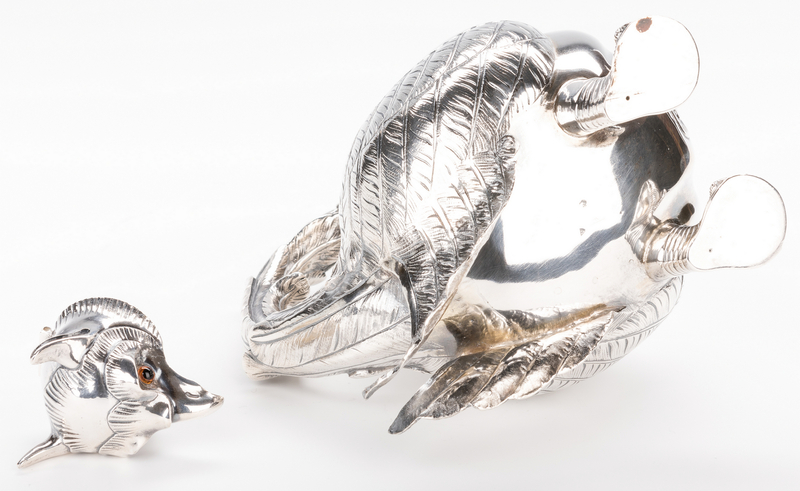 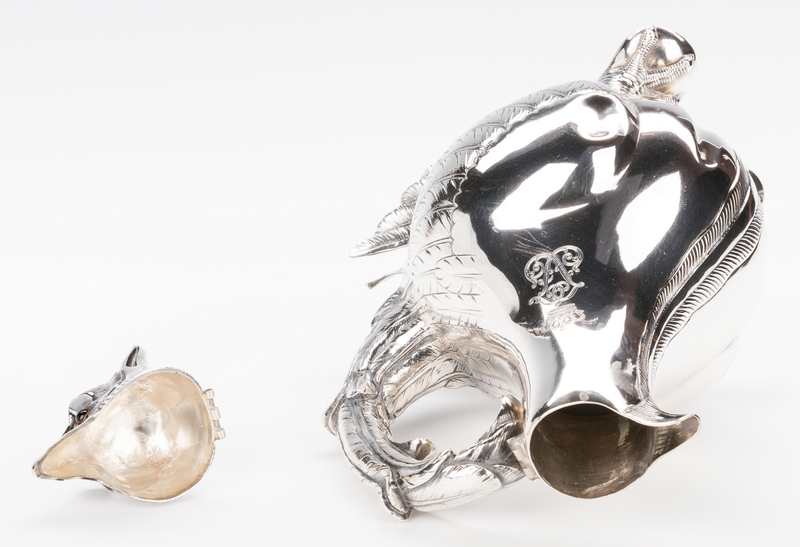 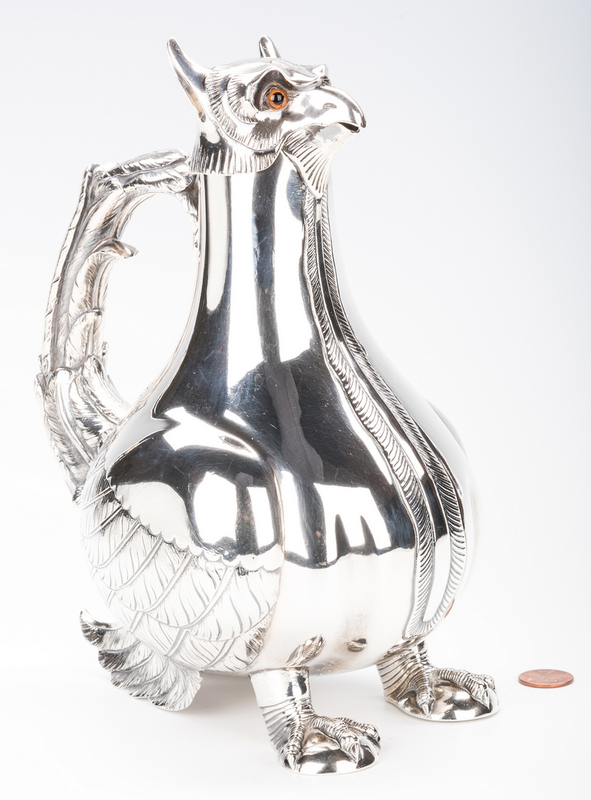 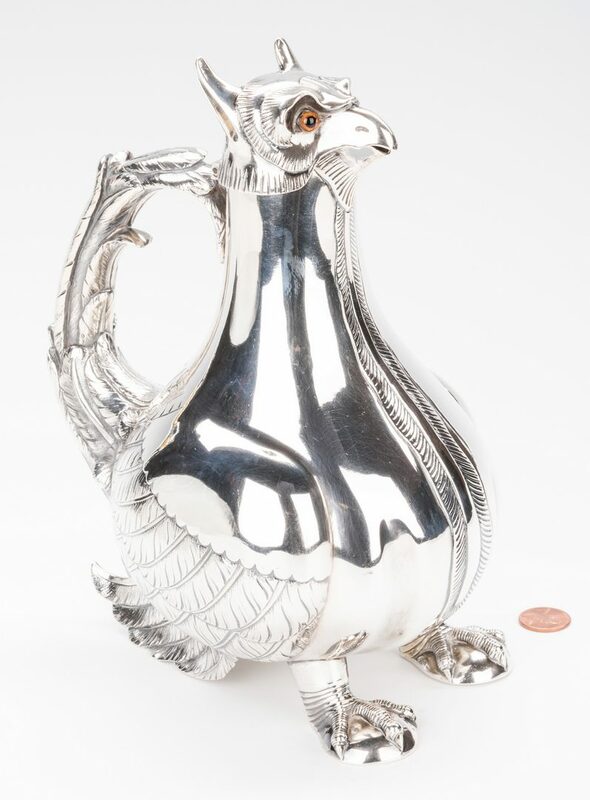 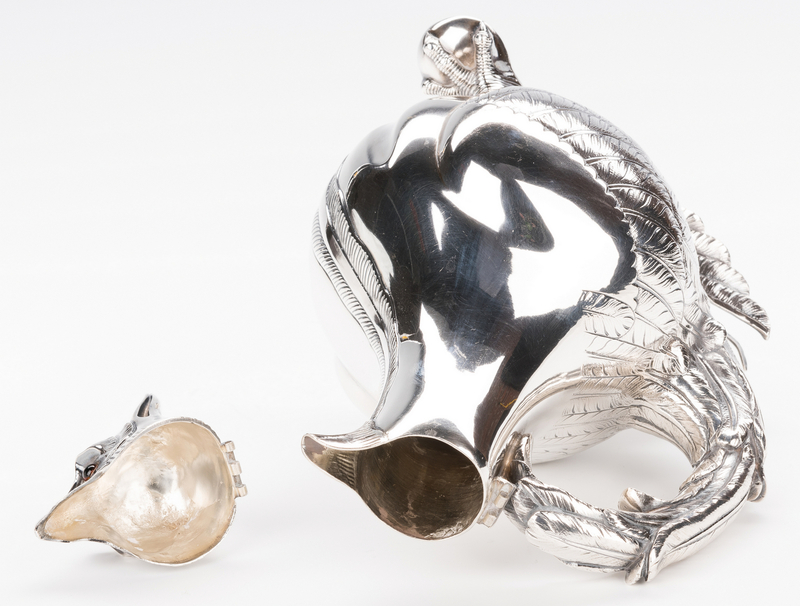 Continental .800 silver figural claret or wine jug, the hinged lid in the form of a griffin's head set with glass topaz eyes, cast handle with applied feather decoration, the body with chased feather design resting on two claw feet. 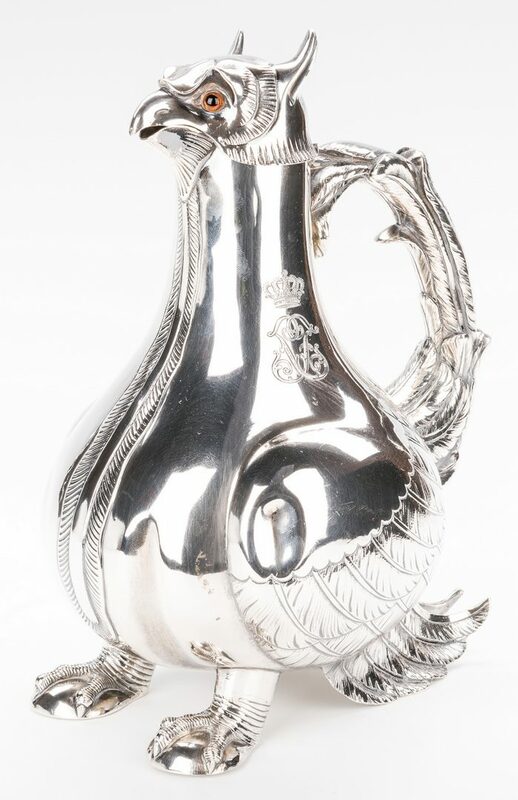 Conjoined initial monogram with crown crest. 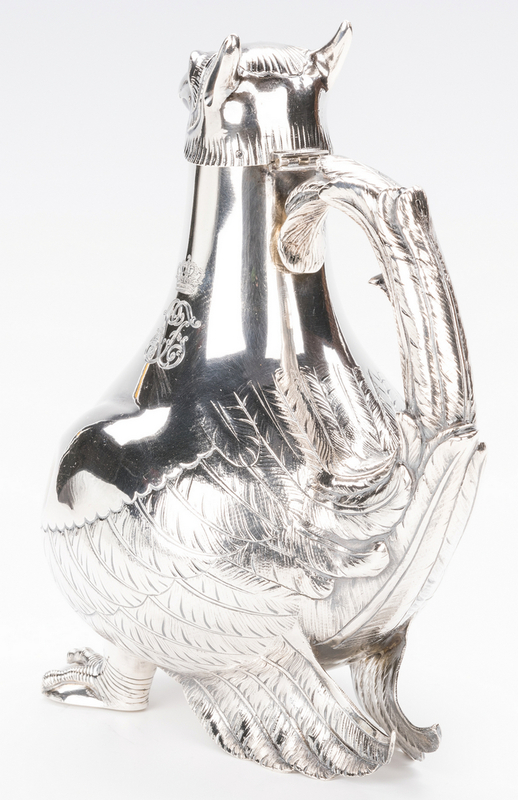 Marked on underside of lid and on base with Austria-Hungarian Diana Head hallmark with 3 denoting silver fineness and P denoting the assay city/town of Pest, makers marks A.B.A within a triangle on base. 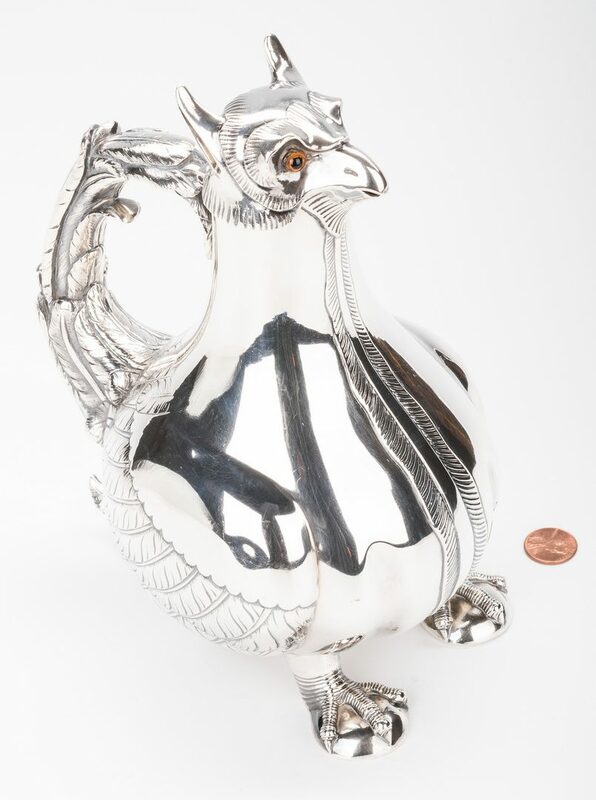 8 5/8" H. 26.885 troy ounces. Provenance: Private Lookout Mountain, TN collection. 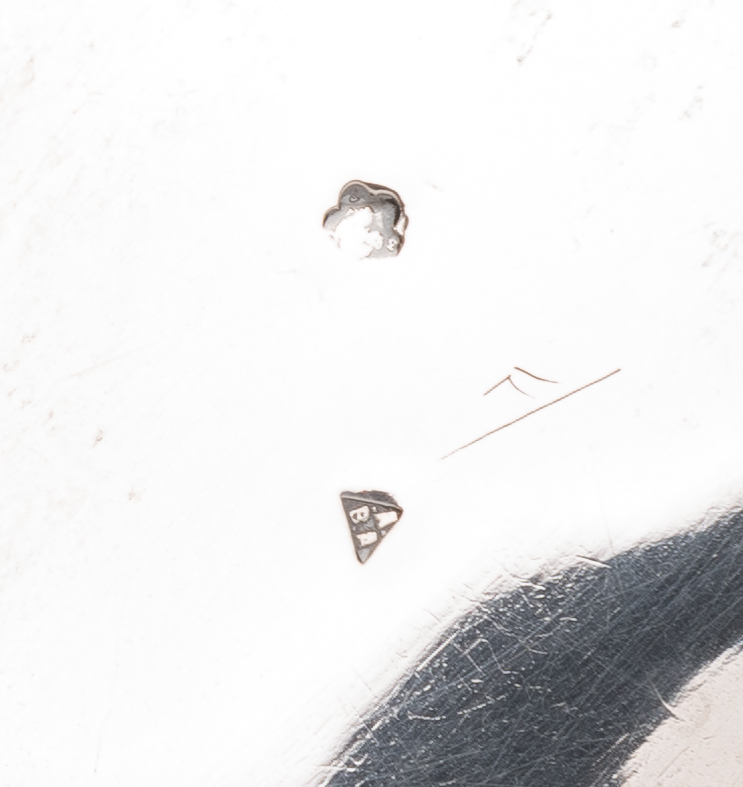 CONDITION: Hinge pin missing. 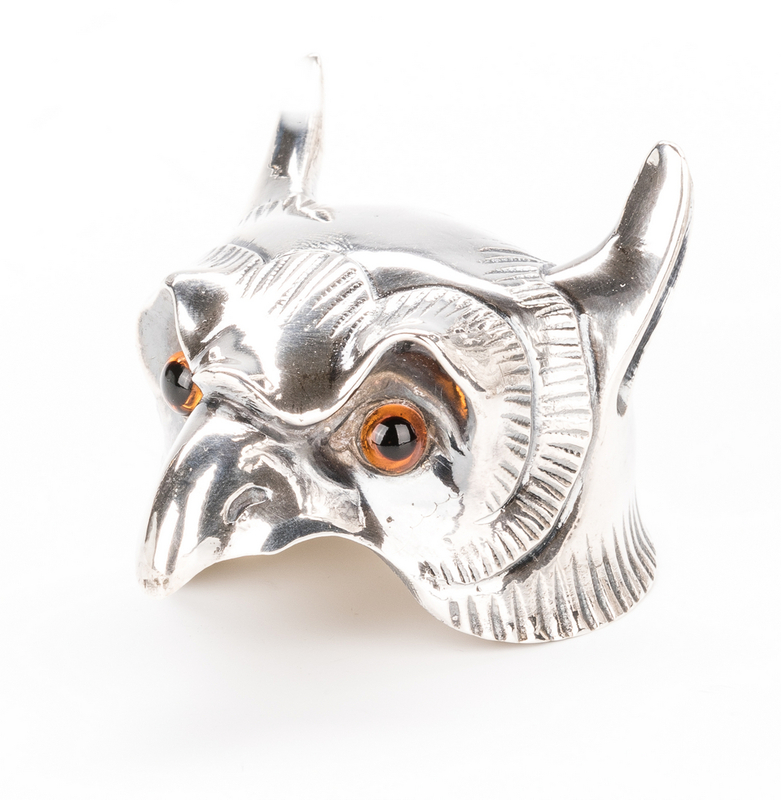 Dents to both wings (largest 1" L), otherwise very good condition.